News about saboteurs targeting state property, energy-related ones, is an unusual criminal activity. It is a subject which cannot be treated as business as usual because of its exceptional national security implications. Under the circumstances it, of course, requires an unusual response from not only the germane state security institutions but also all Ghanaians having the interest of the country at heart. The political criminals must fail and Ghana must triumph at all costs because our country is bigger than them. Such criminals hiding behind politics to run down the country shall be exposed as they have in other areas already. We won't be sounding harsh when we describe anybody with a proclivity for such destructive tendencies as not being bona fide citizens of this great nation. A good Ghanaian citizen would not undertake criminalities which threaten the survivability of the nation as part of an agenda for political power. We have no doubt that the covert operations by the bad elements in politics are receiving the necessary attention at the highest level of national security. We have so far witnessed the various aspects of the dirty operations contained in the leaked audio. We have witnessed the kidnappings and now the destruction of state property especially the power architecture of the nation. A few weeks ago, news about high tension pylons being destroyed by saboteurs made the headlines. Their mission was not to sell the vandalized items but to disrupt the supply of electricity and create chaos in the country. This is beyond the unsophisticated mind of the scrap dealer. It belongs to complex minds obsessed with usurping political power by hook or by crook regardless of the implications. 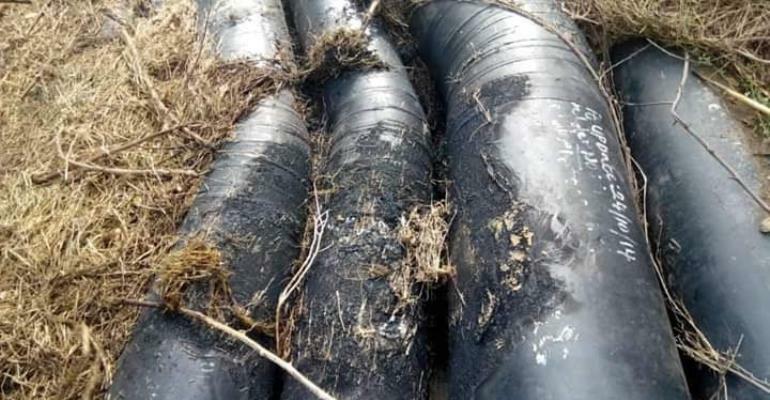 Even before the security agents get to the bottom of the pylon issue, an attempt was made to destroy pipelines belonging to the West African Gas Pipeline in an orchestrated plan suggesting a sophisticated project. We ignore the implications of the destructive machinations at our peril; this is the time to have all Ghanaians join hands with the security agencies in exposing those behind the diabolical project. Coming on the heels of a leaked tape recording about planned overt and covert operations to destroy such important state property more questions must be posed. We are aware of persons on bail after their initial appearances before the relevant law enforcement agencies. We are convinced that more needs to be done by way of extracting further information about what the overt and covert operations really imply. Those who can tread on this tangent must not come near political power no matter how much they try. The correlation between the saboteurs and the source of the leaked audio recording are too close to be ignored. It is on this premise that we demand that the security alert level in the country be moved two notches higher close to national emergency. The criminalities which were mentioned in the audio recording are playing out and it is amazing how citizens of this country out of their inordinate obsession for political power would proceed on such a mission as they turn their backs on its implication on the health of the nation. Citizens living close to power installations must be equipped with the knowledge to determine saboteurs and what to do when they spot them. Although heightened security has been promised especially by the head of security of the Ghana Grid Company Limited (GRIDCO), the complementary support of whistleblowers living close to gas pipelines or electricity pylons should not be ignored. To be forewarned is to be forearmed.